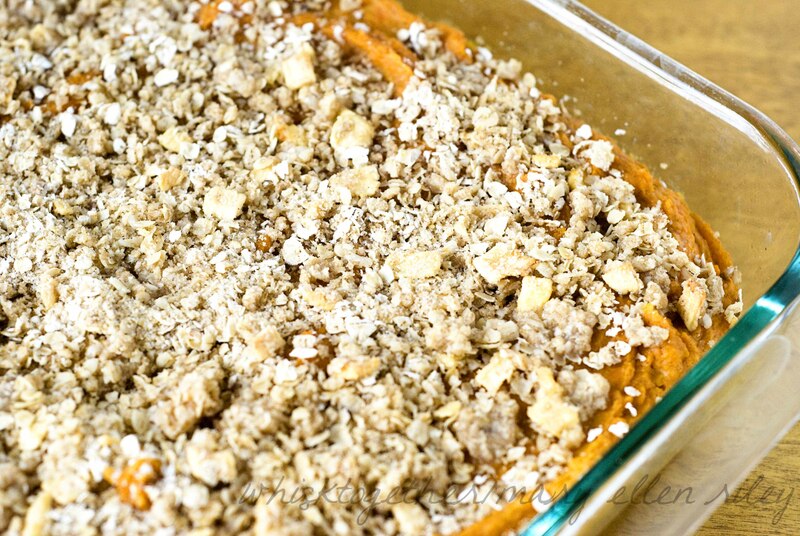 This is my favorite sweet potato casserole recipe ever. EV – ER. I don’t like the marshmallow one and I think the pecan one is pretty good, but I love this one. The calories on the other hand… well, they loved me a little too much. Particularly on my hips! So, I tweaked the recipe and took out some butter to make this just as tasty as the original without all the fat. Here is the original recipe I posted last year. Several friends contacted me that they were impressed how good this was AND that their kids would eat it. I have also tried scraping the topping off. I know … I’m weird. But, it really did taste good. So, I might just make them in the future without the topping. Unless you have never tried the apple topping, make sure you do first. It is GREAT. Then you can try it without. In regards to the amount of potatoes – it is really hard to judge since potatoes come in all shapes and sizes. I boil the peeled and cut-up potatoes in my 5 qt. pot and they almost come to the top – about 1.5″ from the top. I also have a 5 qt. Kitchenaid Mixing Bowl and when I turn it on some of the potatoes come flying out. That is how full it is. I have tried reducing them and changing this or that – NOTHING worked out. This amount of potatoes always made this dish taste perfect. Believe me. I’ve made this sucker like 10 times. I should be orange by now. 3. Add potatoes to mixer and beat the living daylights out of them. 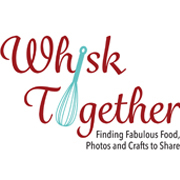 Whip it – whip it good. 4. Add 3 Tb. chunks of butter to the hot potatoes and this will melt the butter. 5. While the mixer is on, I add the eggs, salt, sugars, vanilla, cinnamon, milk and whole wheat flour. 6. Then I beat it some more. 7. Add this mixture to a sprayed/greased 9×13 pan. Bake for 25 minutes. 8. While it bakes, mix the oatmeal, flour and brown sugar together. Cut in the butter. Top the casserole and bake another 10 minutes. You can also make this ahead of time by putting the un-baked potatoes in the 9×13 pan covered in the fridge. Simply take them out when you want to bake and throw them in the oven. You can also FREEZE it this way as well and put the topping mixture in a separate baggie on top. I end up eating all this myself sometimes and make two small pans instead of one 9×13 pan. So, I freeze the one and bake the other. I finally had sweet potato pie this pas December, and have been dreaming about it since, it is so good, this one actually looks amazing! Oh man, I am hooked on spicy sweet potato soup right now, but maybe I need to branch out! Yum.